Fortnite has just overcome Minecraft’s impressive viewership numbers. If you follow video game streamers on YouTube, you’ve probably noticed Fortnite has a massive presence in the YouTube community. But that attention can’t be hand-waved away with Drake and Kimdotcom playing Battle Royale together – Fortnite is breaking all kinds of Youtube records previously held by Minecraft. A more detailed analysis was recently published by the marketing platform Matchmade. 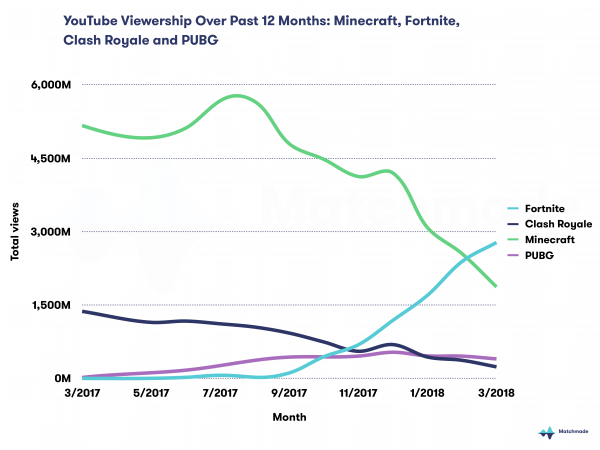 You can read the full report here, but in short: Minecraft’s YouTube viewership has taken a major hit since August 2017, and Fortnite has rushed to fill in the gap. As of February 2018, Fortnite actually passed Minecraft’s viewership figures, and now continues to climb. 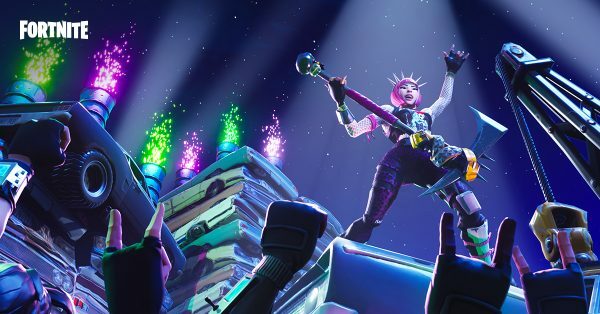 The question now is whether Fortnite can surpass Minecraft’s viewership numbers, which were just shy of 6 billion as recently as last year.